For obvious reasons, you shouldn’t treat it like your connection at home. MANY OF US will be travelling abroad over the next month or two but even not, it’s likely you will find yourself using public WiFi at one point or another. It’s easy to see why. If you have your laptop with you or you have a limited data plan, they can be handy. The problem is they’re easy to intercept. It’s not too difficult for someone to see what another person is doing just by being on the same network. If you have to connect to one, there are some things to keep in mind. Depending on where you are, you will either need a password, or sign up to a service to avail of public WiFi. In the case of the latter, you will normally have to agree to terms of service and require an email to log in. It’s best to stick to official WiFi hotspots (if you have to use one) as hackers could easily set up unofficial ones to trick you. In this case, you’re probably better off having a second email account that you can use to sign in instead of your main one. Most of the time, this will mean you will get updates and promotions sent to you but it’s always good to check the terms first. 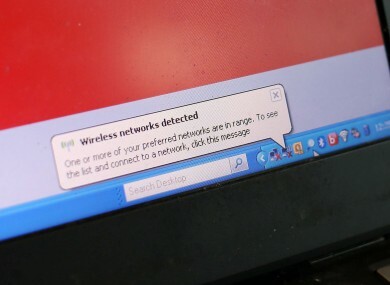 Most public WiFi connections aren’t exactly secure so what is normally a good idea is not to enter in any sensitive information when connected. Instead, treat it as if someone you don’t know can see what you’re doing. Watch a YouTube video or checking Wikipedia isn’t a big deal but you would if you were accessing your bank account or emails, it’s a better idea to leave that until you’re using a secure connection. It won’t keep you completely safe but having an extra layer of security activated is always a good thing. Many popular sites now use HTTPS which encrypts the data passed between your computer and a web server so nobody can intercept it. If it doesn’t appear automatically, you can add it in. While this improves your security, you shouldn’t risk visiting sites where you’re dealing with sensitive information. Then just switch off your WiFi entirely. If you’re working on tasks that can be done offline, then you don’t need to be connected. Alternatively, you could make your phone a hotspot if you do need to check sensitive information. The only thing to keep in mind is it can drain both your phone’s battery life and data plan so plug it into your laptop or a battery pack if you can. Email “Accessing WiFi in a public spot? You should be extra careful”. Feedback on “Accessing WiFi in a public spot? You should be extra careful”.